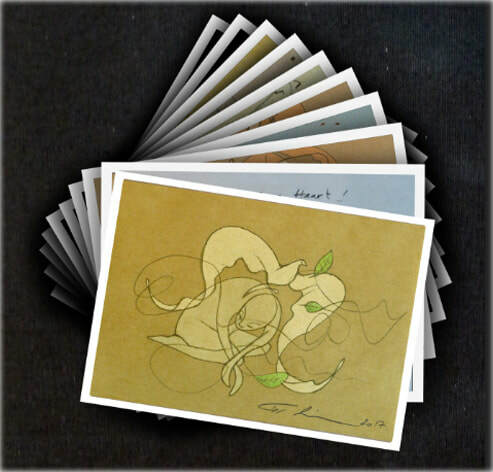 Includes 1 copy of each image in postcard size. Motive size standard 13x18 cm framed with white border. Total size 14x19 cm. Want original drawings ? Please contact me directly.
. . . L i f e i n s i r e s L i f e i n s p i r e s L i f e . . .